This week during bedtime instead of doing the normal story book reading routine with my 7 year old twins, we've been exploring a wonderful app called THE ADVENTURES OF PAN. This app aimed for young readers between 6 and 8 years old allows children to participate in the telling of a magical tale through reading, engaging with interactive aspects on the screen and playing mini-games which help captivate the attention and imagination of young readers. It is a whimsical story with wonderful graphics that has been a delight to read and my kids have looked forward to reading a new chapter every night. Because there can be a dramatic difference in the advancement of literary skills from child-to-child in this age range, parents can choose to have their kids read along with the displayed text as a narrator tells the story or mute the sound to focus specifically on reading. I really liked how each word of the story's text is highlighted as a narrator pronounces it. 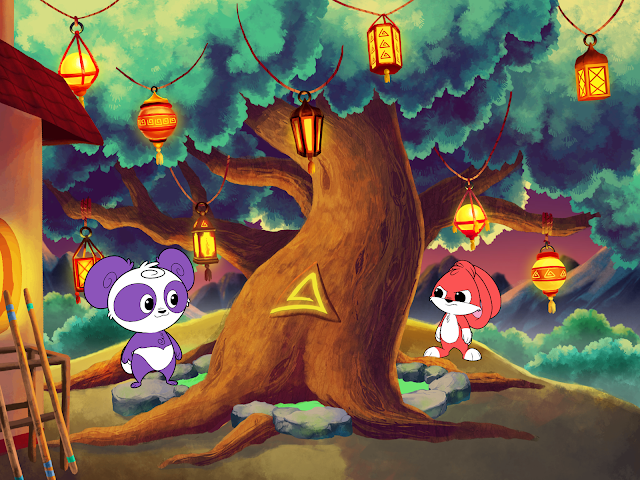 THE ADVENTURES OF PAN follows the adventures of a panda named Pandora, who goes by the nickname Pan. When Pan discovers she's not the orphan that the grandfather who has been raising her led her to believe, the fearless but reckless purple panda leaves her village to search for the parents she has never known. As this trek begins, Pan befriends Chase, a warrior bunny, and Locke, an inventive fox who loves to create gadgets, who join the panda on her quest. The trio of friends learn through a series of misadventures that Pan's parents are just missing but were captured trying to stop an ancient evil. Now Pan, Chase and Locke must save the day while a band of obsessed ninja cats are constantly on their tails trying to stop them. Pan's Story Trailer from Hullabalu on Vimeo. Since its debut on iPad, THE ADVENTURES OF PAN has been releasing a new chapter, referred to as books, on iTunes every few months continuing the adventure. It has been featured as both Apple's Editors Choice and Best New Kids App providing THE ADVENTURES OF PAN with some nice accolades. On May 26, 2016, app developer Hullabalu released Book 7: Han Awakening which will conclude Pan's saga. Also beginning on May 26th, the app will also be available to use on iPhone in addition to iPads. 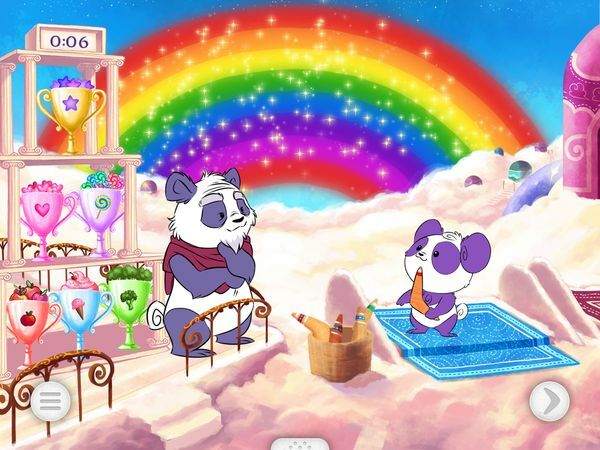 So now app users can access Pan's entire adventure from either an iPhone or iPad. Sorry Android users THE ADVENTURES OF PAN is currently an iTunes exclusive. A nice way the app enhances the story is by sprinkling games and interactive features throughout each chapter of the saga. For example in Book 1: The Fearless Beribolt, there is a boomerang training game in which users throw various items to try and dissolve as many clouds as they can before a timer runs down to zero. My daughter really adored this mini game. All together there are more than 100 fully-interactive cinematic scenes that children can manipulate to trigger a variety of special effects. Another nice aspect of the app is how the artwork brilliantly pops off the screen at you. This is due in part to all of the art being hand-drawn and painted. In fact everything involving the construction of the app including scripting, storyboarding, character design, voiceovers and engineering is done in-house by the Hullabalu crew. From a parent's perspective, I appreciated that THE ADVENTURES OF PAN is very user-friendly when it comes to children being able to scroll through its story and use its interactive features. 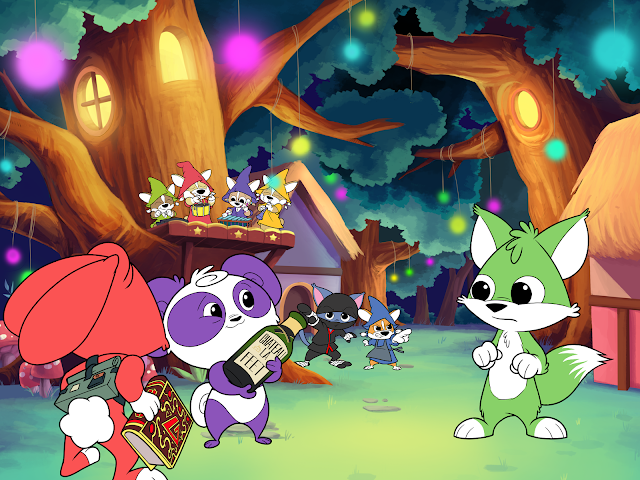 Kids can tilt and touch their way through each of the seven books in the app at their own pace which was the intent of Hullabalu when designing the layout for THE ADVENTURES OF PAN. Plus as the father of both a son and daughter, I liked how the story features a gender-balanced cast to encourage it being equally of interest to both boys and girls. THE ADVENTURES OF PAN is a fun, cute, age-appropriate story that is great for enticing children to read but is also nice if you are just looking to entertain your children and want to let them view it as a cartoon. I always appreciate quality apps that contain a combination of educational and entertaining elements that my kids will both enjoy and learn from so THE ADVENTURES OF PAN gets A Geek Daddy nod of approval.